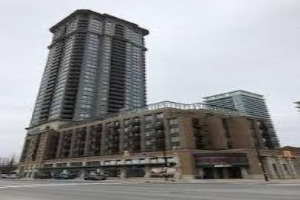 Chicago condos are situated in the heart of Downtown Mississauga, a close walk to the community park, Living Arts Centre, Sheridan College, Square One Mall and the GO Bus Transit. These condominiums boast of superb architecture, great features, finishes and amenities. CHICAGO Condominums by Daniels are considered Mississauga's Architectural Triumph. 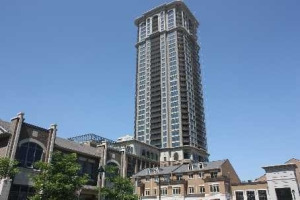 This condo tower was built in 2010 and is considered among the top condo buildings in Square One, Mississauga. We definitely count them in our list of Top 10 Condo buildings in Mississauga. As the sixth addition to the landmark Daniels condominium community, located in the heart of Mississauga City Centre, the Chicago condos combine striking architecture and beautifully landscaped grounds. The Chicago condominiums’ prestigious 35-storey tower is inspired by Chicago School of Architecture. Condo suites at Chicago provide functional layouts, panoramic views from windows and balconies and exceptional 5-star style amenities. Chicago condos offer 17,000 Sq.Ft of extraordinary indoor and outdoor amenities in a world-class setting for you to enjoy. The Chicago includes a two-storey grand lobby, 24-hour concierge, resident service director, fitness studio, spacious gym and yoga rooms, Mississauga's first resident-only 30-rock climbing wall, virtual golf, indoor pool, indoor/outdoor hot tub, home theatre, virtual media room, BBQ area, 6000 sq. 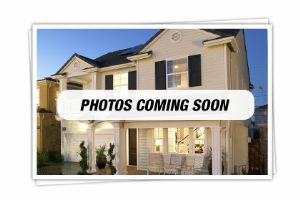 ft. outdoor terrace, al fresco kitchen and dining areas, lounge spaces, water features, fireplace, weatherproof TVs and a sun deck. Chicago Condos are opposite One Park Tower Condos and next to Limelight Condos. Team Kalia has helped many residents with buying, selling or renting their homes and condos in Mississauga's Square One area since 2003. Call us if you are thinking of buying, selling, investing or renting a Chicago Condo in the Square One area. Team Kalia is sure to bring you great value. Local Experience always Pays! Showing 3 properties out of 5 currently available on the market.